If you have explored all the nightlife centers in the the US and you can’t think of a new place to go and have some fun, why not head to the Canadian capital? 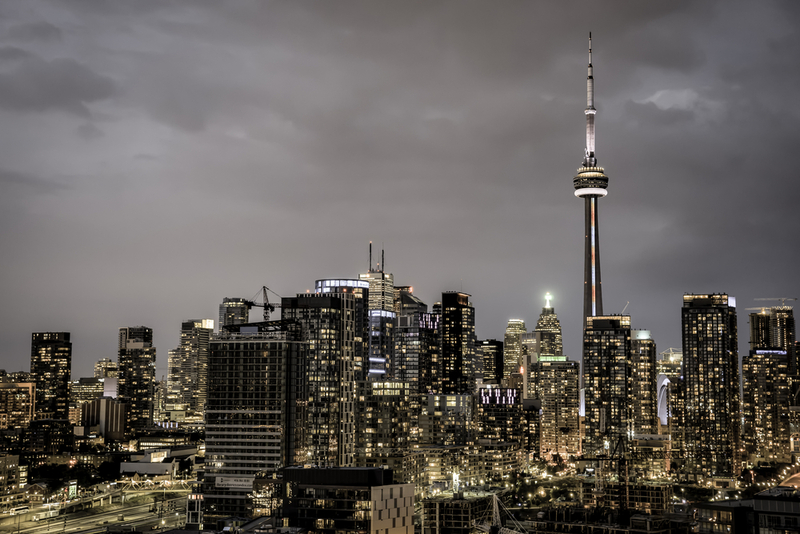 Toronto is chock full of hot nightclubs, and regardless of what type of music you usually listen to, you’ll definitely find the right place for you. From laid-back joints with indie music to swanky, upscale locales where they serve dainty cocktails, there’s a huge variety of nightclubs in Toronto. The Clubland area and the fashion district on Queen Street West and King Street are packed with the newest and hottest clubs. So here are the top 5 hottest nightclubs in Toronto. Muzik is one of the most sophisticated and glamorous clubs in Toronto, but at the same time it has a relaxed atmosphere and you won’t feel like you need to put up a performance in order to fit it. Muzik is located in the Exhibition Hall, a historic building that matches very well the feel of the club. There is not much wild dancing going on in this club, and it’s more appropriate for a few drinks with friends in an atmospheric environment. Location: Saskatchewan Road. Century Room is one of the oldest and most popular clubs on King Street West, better than all the other neighboring clubs. Century Room is quite upscale and its clients are mostly young professionals and artsy people, so you’ll see a lot of high fashion and hear sophisticated conversation. Even if it might seem a bit snobbish, the club has a good vibe and very good music, if you’re looking for a quiet night out. Location: King Street West. If your plan or the evening is to dance until you drop, the Courthouse is a good place to start. The music is provided by DJ CLO, a local celebrity who spins hip hop, rap and R&B tracks all night long. The club has amazingly high ceilings, no less than 4 fireplaces (fireplaces in clubs are not that unusual in Toronto), and hardwood floors just perfect for some footwork. The lower level is for dancing, while on the upper level there is a lounge and VIP booths. Location: Adelaide Street East. XS is definitely one of the liveliest nightclubs in the city, and on busy nights there are over 1500 people crowded inside. XS is immensely popular with the college kids, who are drawn by the music (DJs spinning the latest tracks) and very good sound system. The decor mixes modern design with an otherworldly vibe. Location: Richmond Street West. This is London is one of those nightclubs where it is perfectly natural to see international stars hanging out. This club is the epitome of hip, with a chalet-like decor, a huge fireplace, a library lounge and a bathroom that could house a small village (some patrons use it like a spa). The club has four bars inside, and two more in the courtyard that opens during the summer months. Location: Richmond Street West.